Description:You can't have lollipops for breakfast! But today, Sylvie decides she's going to break that rule, even if it means she has to make her own amazingly perfect lollipop from scratch. Come along as she and her trusty pet bird search for missing ingredients, wrestle with giant candy machines, and get lost in a magical pop-up cookbook. 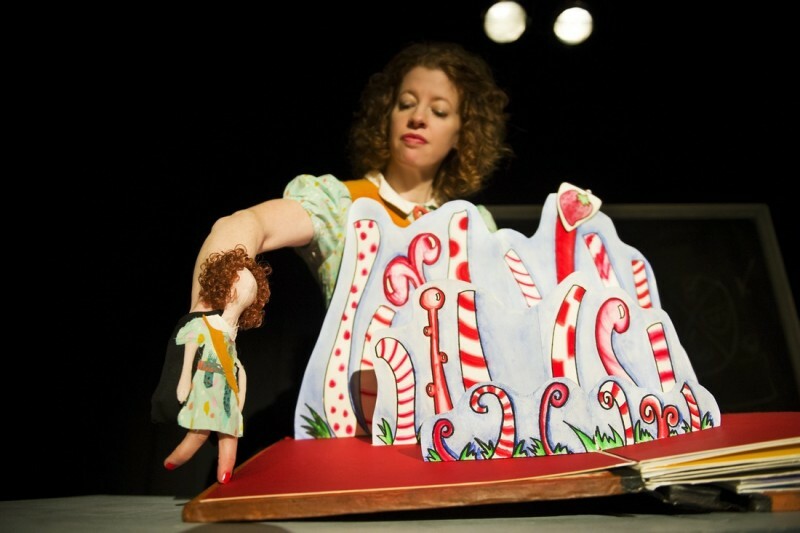 Bonnie Duncan has been entertaining audiences of 5 people and audiences of 5000 people, from Forcalquier to Kalamazoo, as a dancer, acrobat, and puppeteer, as a solo artist and in a touring company. Bonnie is also a Teaching Artist, dedicated to using creative drama & movement techniques to strengthen Language Arts & Social Studies curricula, grades K-12. She incorporates scriptwriting, interactive storytelling, historical reenactments, film making, and original student productions into her residencies. Please click on a star rating for Lollipops for Breakfast. Please type your review for Lollipops for Breakfast.